Crystal balls have long been seen as sources or channels for magic or the mystic arts. Our decorative crystal balls will bring a touch of enchantment to your home decor. 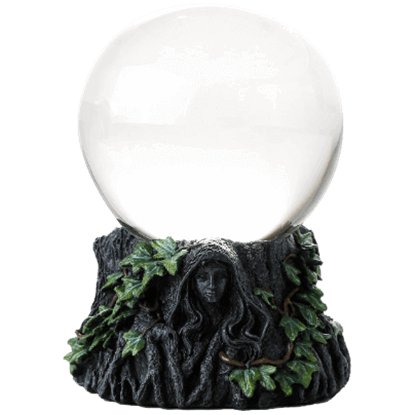 We offer crystal balls adorned with cast resin fairy statues sitting atop their round shape, crystal gazing balls, and other fantasy crystal balls, some featuring LED functionality. This category has crystal balls of various sizes, from small crystal balls that sit nicely on desks and shelves to decorative crystal balls that make great lawn ornaments. 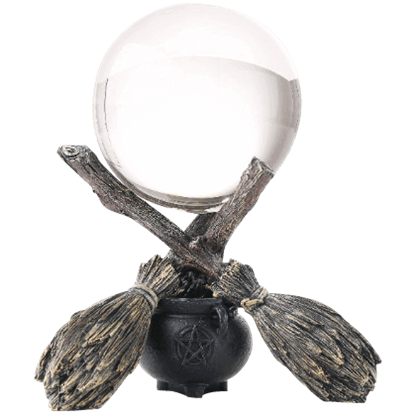 For everything from Wiccan gazing balls to fantasy crystal orbs decorated with dragons, fairies, wizards, witches, and Celtic knotwork, shop this growing category. Gaze into the future with this Triple Goddess Gazing Ball! Made from cold cast resin and hand painted to ensure incredible attention to detail, this gazing ball is a truly exceptional item that is ideal for gifting or decoration. If you want to know your future, you must look into the crystal gazing ball. 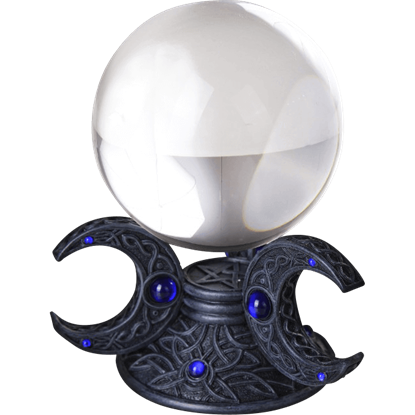 The Triple Moon Goddess Gazing Ball is a beautifully styled piece of Wiccan home decor consisting of a glass gazing ball and a cold cast resin stand.